We are looking for planners, organizers and motivated women engineers like you, to help lead our local SWE chapter. This is a wonderful opportunity to engage with SWE more directly and build your career and experiences. ​Please email Alice (aliceorrell@gmail.com) if you are interested or have questions. 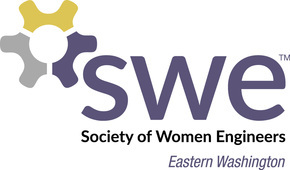 Follow us on Facebook here to find out more about SWE-EWS and stay tuned to upcoming activities. Please support SWE by using this link http://smile.amazon.com/ch/91-1462951 when you shop on Amazon. Budget is offering a discount for SWE members - use BCD # U115497 when making a reservation. Join us for 2019 Spring Business meeting. If you missed to register for WE Local at Bellevue, get a recap here for free! In addition, we have some tips on non-verbal communication for you. Dinner will be available for purchase at Graze, right next door. RSVP here.